The Judicial Panel on Multidistrict Litigation recently consolidated Bair Hugger claims into MDL No. 2666 and transferred the cases on file to the District of Minnesota under The Honorable Joan N. Ericksen. This MDL centralizes and coordinates all of the federal court litigation against 3M Company and its Arizant Healthcare subsidiary over allegations linking Bair Hugger forced air warming devices to joint infections following hip or knee replacement surgery. Centralization helps the cases be administered more efficiently and makes the logistics more convenient for the parties. Complex cases are often centralized to avoid the duplication of efforts in discovery, prevent inconsistent evidentiary rulings, and conserve judicial resources. There are currently several dozen hip infection lawsuits and knee infection lawsuits pending in federal courts across the country. 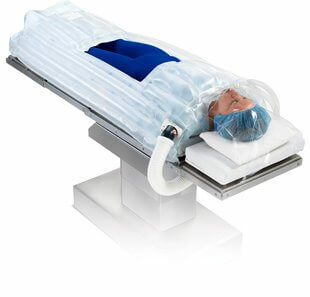 Each defective medical device lawsuit involves allegations that a Bair Hugger warming blanket used during joint replacement surgery caused contaminants to enter the sterile surgical field and caused resulting infections. It is ultimately expected that hundreds, if not thousands, of Bair Hugger lawsuits will be brought throughout the federal court system. Why Are Bair Hugger Devices So Dangerous? Patients who have filed cases against 3M assert that the use of forced air warming blankets causes substantial increases in the number of particles in the air near a surgical wound and higher risks of deep joint infections following hip or knee replacement surgery. There are more than 50,000 Bair Hugger warming blankets in hospitals nationwide, and the devices have been used on millions of patients. Hospitals have used these products for decades, and more than 80% of American hospitals use these products in millions of surgeries each year. Lawsuits involving this device are already pending in state courts across the country and now a federal MDL has also been formed. 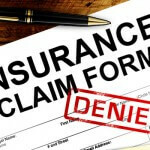 Time limitations apply to medical device injury claims, so you should contact a lawyer as soon as possible. Patients who had a total hip or knee implant replacement that developed infection in the last five years may be entitled to compensation. Call Raizner Slania at (844) 456-5065 to learn more about your legal rights.